Redwood Regional Park is a park in the hills of Oakland and western Contra Costa County, owned and operated by the East Bay Regional Park District, where you can see large redwood trees without having to make the trek to Marin County! Much of the current park site was extensively logged in the 1800s, but is again full of beautiful redwoods, some almost 150 years old. Before the site was logged, its old growth redwoods were easily visible from the Bay and some were used as a navigational aid. The park is easy to get to from the city, has a number of easy walks and more moderate hikes, a playground, lots of places to have picnics and BBQs, and of course, is lovely for those who crave doses of redwoods. The park is also popular with dog walkers (this is the only off-leash park in Oakland), mountain bikers and for horseback riding. Mountain bikes are only allowed on the East Ridge and West Ridge trails, but that makes for a nice ~9 mile loop, with good climbs and some challenging downhills. take Highway 13 (or 35th Ave) to Redwood Rd., then keep going past Skyline Blvd. There will be an entrance on the left side with parking ($5 - not always collected). The address of this entrance is 7867 Redwood Road and provides easy access to very nice hikes and picnic areas. park in any of the free parking areas along Skyline Blvd., including Skyline Gate or Moon Gate. 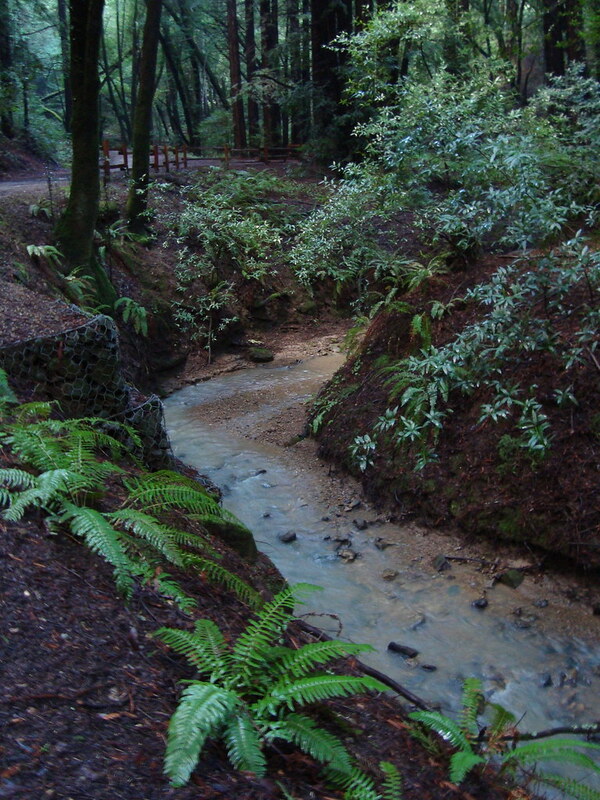 hike to the park from Huckleberry Botanic Regional Preserve or Joaquin Miller Park. Redwood Regional Park was the recipient of the East Bay Express Best Place to Hike Readers' Poll Award in 2014 and 2015.